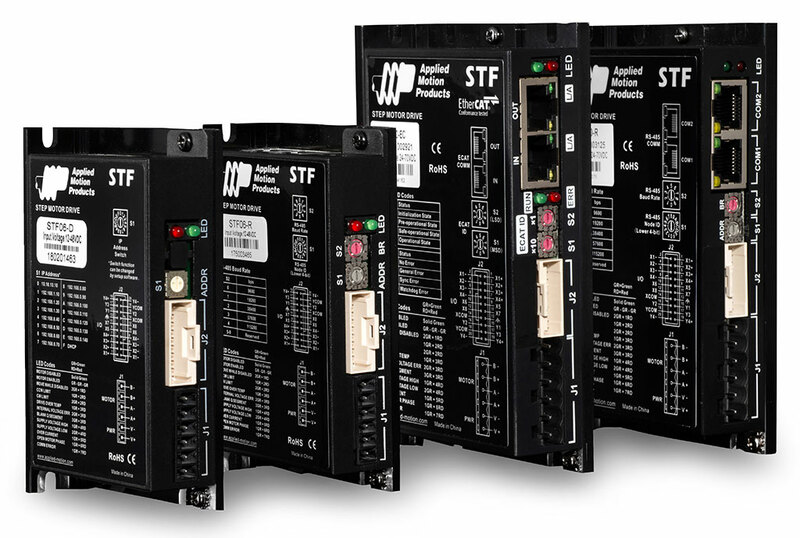 Applied Motion Products offers the stepper and StepSERVO drives above with built-in EtherCAT network communications. 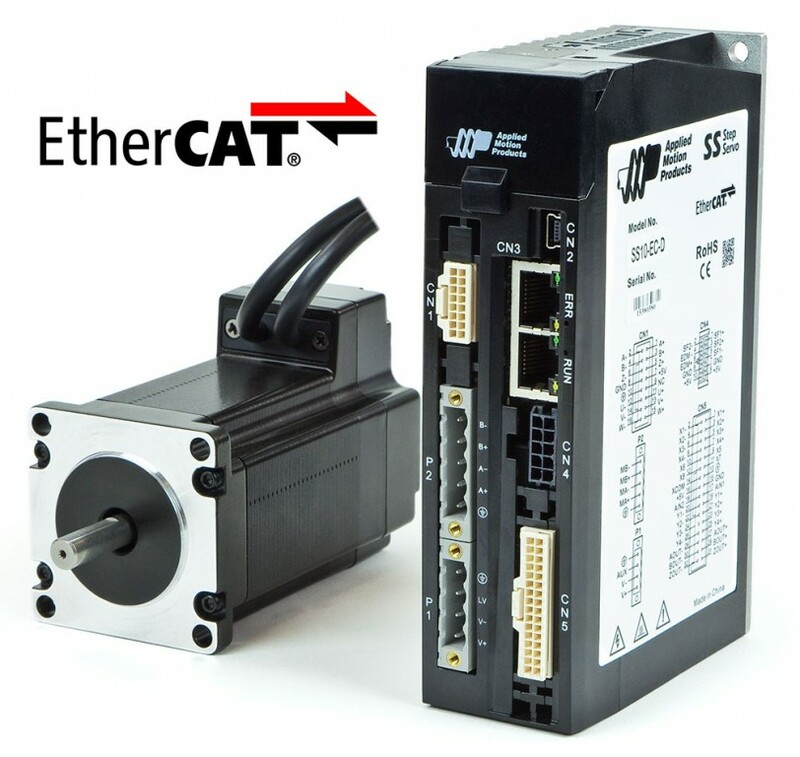 EtherCAT is a popular and powerful standards-based industrial Ethernet protocol specifically designed for high-speed motion control and automation tasks. 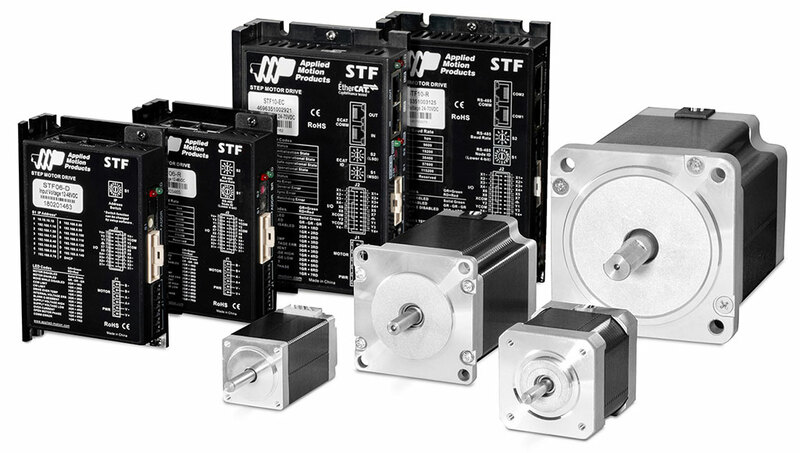 Applied Motion drives with on-board EtherCAT – designated by “EC” in the model number – support CANopen over EtherCAT (CoE) operating modes including Profile Position, Profile Velocity, Profile Torque (StepSERVO only), Cyclic Synchronous Position (CSP), and Cyclic Synchronous Velocity (CSV). All drives support a range of Homing modes as well. EtherCAT is an Ethernet-based fieldbus system suitable for real-time communications requirements in automation technology. It provides short data update times and low communication jitter over a full-duplex Ethernet physical layer. All of this is to say that it’s a high performance industrial Ethernet network for automation. 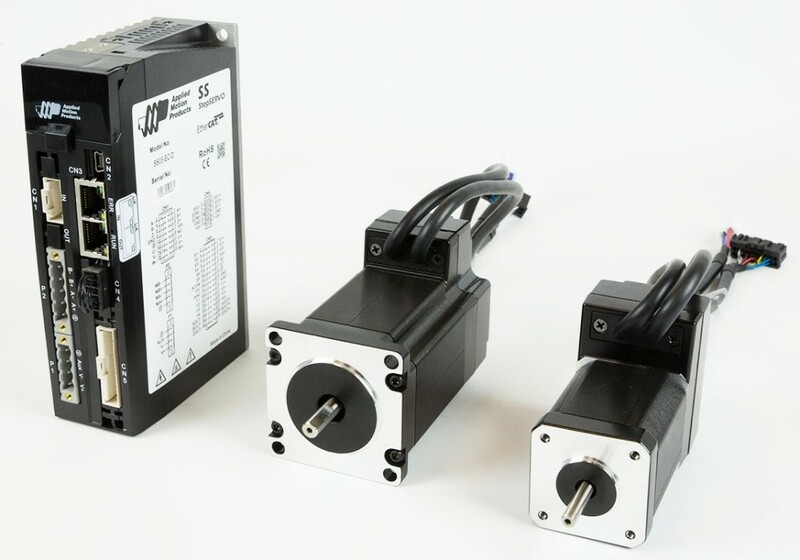 Applied Motion provides specific CANopen objects for executing Q programs stored in a drive’s non-volatile memory. IMPORTANT: Note that stored Q programs in an EtherCAT drive can only be accessed via the EtherCAT network by request from the master controller. These drives cannot run Q programs stand-alone. EtherCAT networks are controlled by a master controller and there a numerous suppliers. We offer support documentation to assist users in connecting to several of the more popular controllers. Visit the EtherCAT Master Controllers page for more details.